This is a sophisticated production with good photography of interiors as well as exteriors. There is a stunning Hitchcock-like pan within the Border Rest Cafe and Saloon. Time is taken to develop all characters in this 75-minute western. All performers are good, everyone having an acting edge on Hart himself despite all his experience (which, admittedly, was stage experience). The Bargain is a visual story visually told. An outstanding example: As those who will arrest Two-Gun Jim are at the door to his room, others make known to him that they are at the window. He hears that they are there. In this silent world we, of course, do not. But one of the two men we see through the window moves his hand ; and we know that he has made a sound that Jim hears. The conclusion to the tale consists in a bargain between the sheriff and our outlaw Two-Gun hero who is trying to go straight. 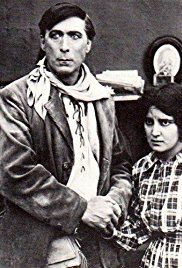 For 1914 it makes for a shockingly cynical ending but a happy one for the romance. The Grand Duchess and the Waiter is a perfect example of those films I once heard Jean Renoir describe as the most beautiful films ever made. He said this of the films made in Hollywood during the twenties. This picture, chosen by the New York Times as one of the ten best of its year, is captivating, lovingly photographed, subtly acted, and meaningless. It could not be more accomplished, but it amounts to nothing at all. 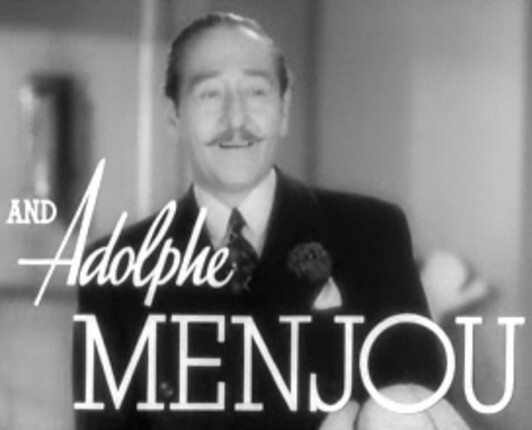 Adolph Menjou again proves himself the most subtle of silent actors, if never deviating from his screen persona. Florence Vidor is every inch a duchess, and all the well-cast supporting players do dandy jobs. Almost all the fun is visual. The script, however, lacks invention as it seeks to show how an inexperienced waiter can fail. The happy conclusion is trite and based on the dime-store psychology that permeated American films of the era. Love makes the world go round, even if it’s between two people who have only just met and know so little about each other that they cannot even know if they have anything in common. SECOND THOUGHTS; Can I insist that the film mean something? If this were a French film, would I see it as a charming comedy of manners and praise froth?